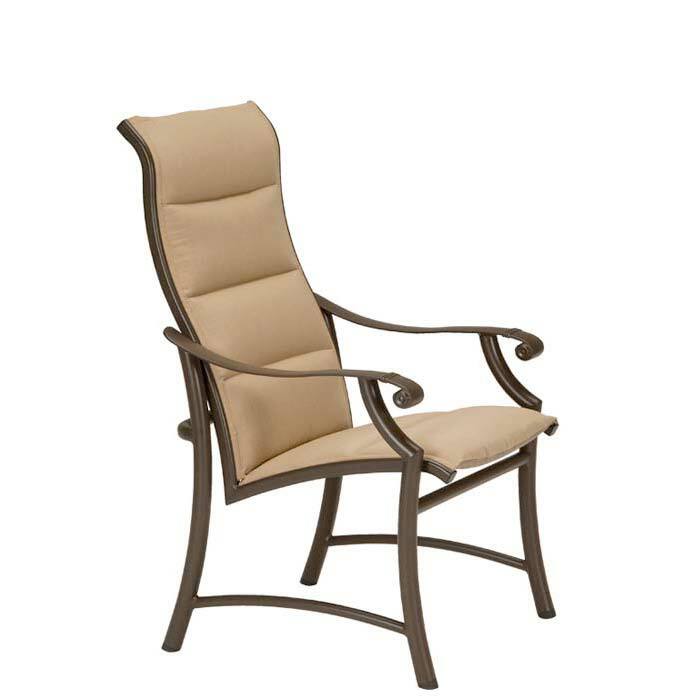 The Montreux II Padded Sling High Back Dining Chair brings the comfort of the indoors outside. The ergonomically designed high back of the dining chair adds another level of comfort to any outdoor dining experience. With a blend of extruded aluminum and cast-aluminum details, Montreux II Padded Sling High Back Dining Chairs feature a well-proportioned frame, stylishly curved arm support, and sling-construction with an extra layer of fabric integrally sewn to the sling for added durability and comfort. The Montreux II Padded Sling High Back Dining Chair will transform any outdoor living space into a showstopper.